In a city of neighborhoods, one key to progress is for neighborhoods to become more bikeable. And with the city funding in place to build more bike projects, joining your neighborhood association might be the best way to help that happen! Attend meetings, voice support for bike projects, and you'll benefit both your community, and biking in general. You can also ask if there's a transportation committee and join if so - many recommendations made at the committee level get approved by the neighborhood association. Neighborhood Planning Units, also known as NPUs, are another good way to get involved. 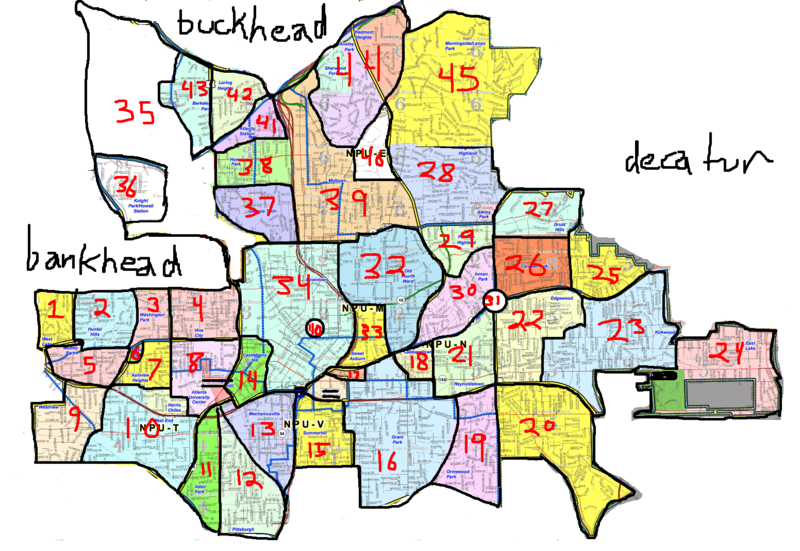 The City of Atlanta is divided into twenty-five NPUs -- "citizen advisory councils that make recommendations to the Mayor and City Council on zoning, land use, and other planning issues. It is also used as a way for citizens to receive information concerning all functions of city government." Finally, because many of our calls to action involve contacting an Atlanta city councilmember, get to know yours ahead of time! Click here to find your representative on the Atlanta City Council.